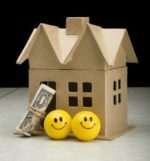 Foreclosure: Legal Work or Short Sale? The economic crisis is rolling over millions of people and creating big financial issues for them. As a result, we are still going through a similar situation that we underwent in the 2008 mortgage crisis. There are houses that are still mortgaged for a price higher than their actual value. This is why there are many people who are facing the issue of foreclosure. As a result, the homeowners are set in a trap that they cannot escape. The embarrassment and the heavy charges that are included in the process of foreclosure are also quite maddening for the average homeowner. In such a case, you would be left with only two choices. You would either go to a foreclosure attorney or check for some short sale help. In both cases, you will get your own set of advantages and disadvantages. With the help of a foreclosure attorney, you will be able to litigate over your foreclosure case. The legal process may take long and you would generally have to take a Temporary Restraint Order or TRO so that your property is protected from all kinds of damage. The foreclosure may be completely warded off in this case. However, you will have to pay a lot to the attorney in this case. The second option for you is to take short sale help. In this case, you will not be spending too much time or money in the litigation. As you are unable to pay the dues on time, you can go to a short sale help provider and discuss your case. Further, you can convince the lender that the amount of the sale be received as the total bulk repayment. It would obviously fall short of the real repayment amount. This difference may or may not be counted as a deficiency. Therefore, with the help of this short sale consultant, you will be able to avoid the foreclosure as well as the additional charges that you might have to pay as a legal fee. In case you are not aware of the formalities of this procedure, then you can also depend on the short sale consultant and get your work done on time. The most advantageous feature of this kind of settlement is that you get the chance of saving your credit report from getting negative remarks and comments. Therefore, it is an advantageous situation for all. Got A Foreclosure Notice! What To Do?